This was the second brunch style wedding I’ve been apart of and I can honestly say that I’m in love with them! I hope to do more like them in the future! Amanda and Stephen were so fun to work with, so many laughs and great moments all throughout the day! This wedding also had a stacked lineup as far as wedding vendors go! (see below) Thank you so much Amanda and Stephen for having me apart of your day! Enjoy! Typically around mid April, it starts to warm up a little and feel a little more like spring. But anyone who has been to Nebraska or lives in Nebraska knows that the weather is on it's own schedule. And on this particular Saturday, it felt like mid December instead of mid April, a severe snow storm and mid 20's out. 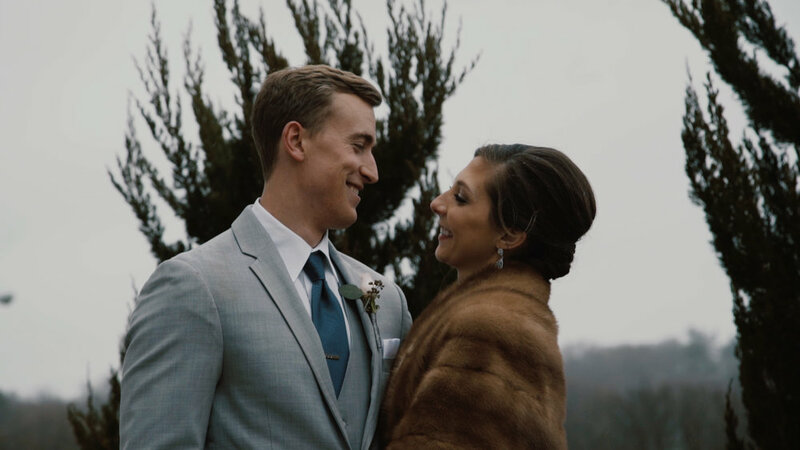 Kevin and Lauren's wedding day was so much fun to be apart of, and such an honor to be included, even if the weather didn't quite cooperate with us! The reception at this wedding might have been the most packed I've ever seen the dance floor at a wedding! Hope you all enjoy this video as much as I did putting it together!